Do you have the Ethics for the New Millennium textbook? See your enrollment options above for "I already own the text". Based on the book "Ethics for the New Millennium" by HH the Dalai Lama, this course presents a moral system of ethics for your consideration including universal principles of compassion for oneself and others and restraint from causing harm. While exploring ethics for the individual and for society, this course will improve your ability to treat each person with respect, dignity and worth; adhere to ethical boundaries, and safeguard the therapeutic relationship. It's applicable to all practice settings. Lovely and thoughtful book. One of the most interesting ethics books I've ever read. As a Buddhist I appreciated that this coursework was offered to satisfy licensure. The principles are key to benefiting all beings no matter what their profession. Ethics from the Dalai Lama is a profound course. I really enjoyed this course it took into account how little actions can affect everyone. This is a great course that everyone should read. Not just for massage thereapists. This course had a profound impact on me. It provided a tangible means to shift my consciousness in a significant way. I love the book, first of all! The Dalai Lama is an inspiration! The course really required full reading of the material, and the answers were not always obvious, so you had to pay attention. I like that! I loved the book, great information. I really enjoyed reading this book. My study coincided with a trip to Thailand and it really helped me to understand the Buddhist philosophy better. I was so excited when I saw that Health Positive! offered this course. Most ethics courses are fairly dry, so it was great to be able to have such an interesting class available, and at a reasonable price. The Dalai Lama writes about ethics in such an accessible and easy-to-understand way. It\'s a very compelling book, and the learning materials are well done also. I thoroughly enjoyed the Dalai Lama's book and plan to share it with friends and colleagues. I enjoyed the course. It is always a pleasure to read the Dalai Lama. His life and work are inspirational. Was not looking forward to the ethics requirement, but this course was much more beneficial - love the Dalai Lamas insight and peaceful approach. All would benefit by reading and pondering the words here and keeping these principles active in our daily lives. It is refreshing to see compassion & empathy as part of an ethics study. "Ethics for a New Millenium", by H.H. Dalai Lama, is simple and profound. Studying it's questions on Ethics should be required for all! I live in a somewhat remote area, so your homestudy courses not only provide an opportunity for getting my required CEU'S affordably and conveniently, but also offer really good material. This Ethics course is one of the best I've taken in nearly 25 years of practice. Thank you! Great book! Excellent presentation of concepts. The course was interesting and thought provoking. I reached a deeper understanding of ethics. This course motivates an individual to refocus on what really is important in life regardless of career choice, and that is to always have patience, kindness, and forgiveness for one's self and others, and to offer those virtues through empathy, compassion, and unconditional love. In the spirit of genuine humility, not for self-serving personal benefit. That this perspective inspires each of us to impact our communities and the world, one person at a time, with spontaneous loving kindness, the basic quality everyone requires for happiness. The book was very interesting and the information shared extends to all realms of life: work, play, & relationships. The book was great. The test questions were helpful to sum up the book. I enjoyed reading the insightful techniques from the Dalai Lama course. Karen P. Tweedley, NCMT - N.J. The content was thought provoking for me as a citizen of the world as well as bodyworker in particular. It underscored the role of compassion in all relationships and its influence on peace. The importance of the therapist's self-awareness and scrutiny of his/her attitudes and communication with clients cannot be underscored enough. This book and course gave me a new approach with which to view the world, and opened my eyes to ways I could be more empathetic with my clients. I enjoyed the book immensely. This is the most thought-provoking ethics course I have taken in 10 years and the most valuable time I have spent on the topic of ethics. I enjoyed the book, the system and the good questions. I enjoyed reading "Ethics for the New Millennium". I was happy to find an ethics course which was a bit of a diversion from the standard fare that is typically offered for Ethics CE's. This was a fun informative way for me to get ethics ceus! What started to be a class became a very compelling study. The Dalai Lama course summerizes many theories from many sources of wisdom. This is a wonderful foundation for any ethical practice. I loved this course - a great divergence from the usual run-of-the-mill ethics courses. Very thought-provoking & inspirational. I am pleased that you offered this course. It goes right to the core of ethics. I chose this ethics course because although acquainted with Buddhism I thought I would able to learn something meaningful and that's what happened. Melanie A. Wilkinson N.D., H.H.P. An excellent source for ethics and a reminder of our purpose in this life. Ethics for the New Millennium is a must read for the Massage Therapist. It reminds us to respect each other and our work will be more productive. By showing respect and empathy towards the people the true nature of our practice can truly create a therapeutic change in each individual life. We have the ability to touch not only muscles, but also the very souls of people. I enjoyed learning the perspectives of the Dalai Lama and feel it will help me strive more to be a better person. Loved this course. It was very enlightening. I would not have studied "Ethics" if it were not for this exam, but thank you what a gift for humanity! I'm so very pleased you are including the Dalai Lama Ethics for the new millennium in our M.T. Ethics course work. The Dalai Lama's words are life changing and continue to open my heart and hands. Pam Altomaw - NCMTB B.A. The Dalai Lama is fantastic- He presents a common/ethical ground for all religions. Because massage therapist often work on their own, it is difficult to find a way to talk about the ethical dilemmas specific to massage therapy. This course helped me feel like I'm on the right path and acknowledged that it is not always an easy path to take. I feel more supported in my ethical journey now than I did before the course. 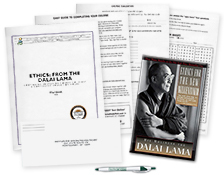 The Dali Lama's course on ethics is the most interesting as well as comprehensive course, suitable for not only massage therapists; it is for all human beings. Nice reminder of how we all should act toward others. This course proved beneficial for the therapist/client relationship, but also as a guideline for all my relationships and even for life in general. What a pleasure this book was to read! The ease of operation of the website also made this a very nice experience overall. Well chosen text and well written questions. Opens up your idea of the importance of ethics. The Dalai Lama explains words not only in definition, but in complex, well-rounded meanings. Very fulfilling, encouraging and helpful. I feel at peace, inspired and enlightened. I was skeptical at first, as to how this course relates to massage thereapy. Oh my gosh, this was the most incredible course! Totally amazing, awesome course - is already changing my life. Awesome book! I think everyone should read it. Everyone at Health Positive was very helpful and friendly. This was a fun, user-friendly course. I enjoyed it! This is the most relevant Ethics course I have ever taken to define the work I wish to do. I liked looking at ethics from another perspective other than just in the massage room. You have always been great! The course was very inspirational! A great text and resource, a wonderful teaching to practice ethics in our daily lives. I am pleased this text was an option for an ethics course. This is not your typical ethics course. It will undoubtedly not only improve your client relationships, it might just change your life! This was an excellent course for ethics and very enlightening. Highly recommend and enjoyed!!! The magnitude of simplicity to which the Dalai Lama presents a subject as deep as "Ethics" is so profound that it stirs within me the desire and determination to attain the level of nying je he describes. Knowing that what he says is absolutely true in regards to all we say and do affecting the universe,creates pause to reflect upon thoughts with care before acting upon or verbally expressing them. It was a great opportunity to slow down and reflect on my own thoughts, emotions and motives. Loved it. The course knowledge was an excellent source of information for my personal growth. I will be able to share it with those I touch! Awesome! A great course in Ethics with a broader sense of much needed teachings! Thank you for expanding our ethics requirements to include the passion and wisdom of the Dalai Lama. His words continue to resonate in my heart. This book will always be within my reach. This book was amazing! I have recommended to several of my friends just because of the concept of peace and love and compassion. I gained a great deal from the lessons taught both personally and professionally. A great class! I loved this book. I have gone to lectures of the Dalai Lama's and find him to be the most amazing individual of our time. This book is one of the most to the point with such a universal message that I think it should be read by everyone. Thank you for this course!! Beautifully written book - it did not read like a text book, yet I learned more from it than I ever learned from my college level ethics courses. I would highly recommend this book to clients, friends and family, and this course to healers everywhere. Loved it. Good read and relevant test questions. good study guide, some of the test questions were worded funny. So far, overall a great continuing education experience. Thank you! This is not only helpful for one's vocational practice, but for the everyday practice of life. A truly wonderful book by a truly wonderful man. Well worth reading! I couldn't recommend a greater book for the study of ethics. I am so happy I was able to have this course as an option! I thought the book was excellent and the quiz was very helpful in analyzing the content of the Dalai Lama's writings. I loved its richness and the perspective of the Dalai Lama is inspiring and has enriched my life. Thank you for offering such a worthwhile course. This book enabled me to change my focus. I am re-reading it. The Dalai Lama made me realize that a small life, lived with a focus of doing good for others, builds on itself. And it all comes back. I really appreciated this course qualifying for the ceu credits w/ NCTMB. The Dalai Lama is a noble,wise and highly respected human being who educates the world with his calm explanations of wisdom thousands of years old. I think if we can truly embrace his philosophy in order to grow less selfish as individuals, our ethical conduct will be superior in the healthfield as massage therapy grows and integrates with the world's practices of healthcare. I was looking for something different, everything I was taking was a repeat of the class before. I got it in this class and I loved the challenge it gave me! Everyone should read this book. I don't have his religious beliefs but the overall message is for everyone. I had wanted to read this book anyway, but then I found your course on it and decided to use it to fulfill my CEU's. Easily the best ethics course I have ever taken! I actually read this book cover to cover. This information is invaluable for the human race. This book changed my life and outlook on stress, and how to apply simple things to improve my life. I have recommended this book to several people to read to enhance their outlook on happiness and life. I enjoy the course and will be applied the concepts I have learned in my classrooms, in my practice and in my life. I LOVED this Ethics course because I found it more useful to me on a personal as well as professional level. Thanks! This book was fantastic and I'm so glad that I read it. Content applies not only to my practice of massage, but to my daily life as well. Very glad that I chose this course for my Ethics requirements. I loved this course and am pleased that you offer it. I think it is the most important content to be studying, learning and practicing in today's world. Thank you! How refreshing in the world of tests and academia to have required coursework be so explicitly enlightening and applicable to my personal practice. I loved this. I hope to revisit it often. This course and its content offered a very substantive and meaningful way to look at ethics. It should be a mandatory course for all healthcare practitioners. It will help me be a more compassionate human being and practitioner and gave me tools for greater awareness and continued growth. This is an excellent text in which new insight to ethical responsibility is enhanced. The questions on the test were associated with important concepts in regards to ethics. OMG, if everyone in the world read this, idealism would become reality! It took me a while to read because I was really trying to incorporate the ideas as I was learning. Excellent choice. My best Ethics course yet! This course should also be included for licensure. I loved this book! The content resonates with me as a massage therapist and as a human. I'm delighted that it was offered in the context of a ceu course. Mahalo! Thanks for an interesting and relevant course. Reading the book "Ethics for the New Millennium" and taking the test helped me make better, heartfelt choices in dealing with high charged emotional situations. This course was one of the best I have taken in a good long while. This course was very enlightening, a little harder than I expected. I think everyone should read this book. This was mind and heart broadening information that was so beneficial to understanding human nature and how to exist in peace with all of humanity. I kept rereading the book. I found this to be the best ethics course I have taken. I admit I had to read slowly and sometimes more than once to truly understand the concepts, however they are powerful and I find myself questioning my emotions several times a day...that is such a good thing! LOVED IT! More from the Dalai Lama! This more worldly and spirtual perspective was a welcome change from typical ethics. This was an incredible course with a great and new view on ethics. Highly recommend this course to anyone in a "caring" field. This is one of the BEST CE courses I've ever taken. I am not a practicing Buddhist and yet found this material so universally applicable and authentic, and for a change not doing my usual thing where I find myself disagreeing with someone's "spiel" and just taking a test to get the credits. Delves deeply into the places where hard-to-change choices are made. I wish all the courses were like this one! Excellent book - definitely worth reading, and learning the practices which develop true ethics. This book changed my perspective as a health practitioner. It allowed me to be more empathetic towards my clients, coworkers and people in general. I LOVED this course. If you just want to get credits for the ethics requirement, you can probably find something else. But if you really want to understand ethics at its core and want to experience a shift in your prespective on ethics, take this course! The text was so profound and so deep, I could only read 30 min at a time. I had to take a break to absorb and ponder the information and subject matter. Outstanding material! The Dalai Lama is both wise and clear. Using his book as the basis of an ethics course was a brilliant decision. This was the deepest and most enjoyable ethics course I have ever had. While I don't particularly enjoy philosophy, this was exceedingly well written and open minded at all times. For this reason, I found it very interesting and one cannot help but do some personal re-evaluating of self. A course that benefits our own personal growth, which may be it's be it's greatest value for our clients. Heart is now full of more compassion and understanding! Thank you for offering an ethics class that is relevant. The ethics courses I've taken in the past have only met my continuing ed requirement and have not been personally meaningful. I appriciate The Dalai Lama's down to earth wisdom that shows how an ethical life is a happy life. This class leaves me feeling optimistic and empowered. Thank you for offering an ethics course based on the writings of His Holiness the Dalai Lama, the most ethical person on the planet. Not only did I complete requirements for massage licensing, I was reminded of important aspects of ethical behavior in daily life. Can't go wrong with one of the great minds of our time. So glad reading this book was an option for a CEU course. If only they were all this relevant. 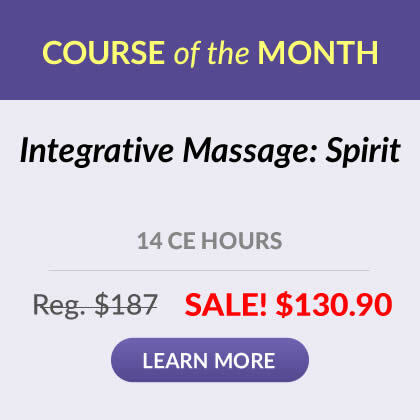 I love courses that not only give me necessary info for my massage practice, but also that may be applied in my life. Reading from the Dalai Lama book was very enjoyable! I loved this book. It will definitely be one that I will refer to often and recommend to others. Thank you! I enjoyed learning more from the Dalai Lama. He is an incredible teacher and a very wise, loving and caring human being. This course would be interesting to anyone who cares about others, and it gives wonderful guidelines in which to live one's life to the fullest potential. This material is excellent for any human being. I loved reflecting on the questions that you provided. The chapter summaries were helpful as they helped me to focus on the main ideas as I read. This helped me to complete the reading more quickly. This course not only helped me gain insights as a practitioner, but as a person. Thank you and I will be back! I'm glad the Dalai Lama was used as a source of ethics practice for massage and bodywork. Thank you! This book exceeded my expectations--very readable and a useful outlook. I was pleased that the Institute included an ethics course from a major ethicist, because dealing with core moral values, as the Dalai Lama teaches us, will help us to more naturally behave ethically. This includes all aspects of our lives, including our professional lives. It took me quite awhile as I read the book before I looked at the test questions so had to go back and skim through the whole book to find the correct answers. I did really enjoy the book and feel it will be of great value to me as a massage therapist and as a person. It was a very interesting book. It was a very slow read for me, especially the first three chapters of the book. I kept starting over, over the course of a year and had to extend the course time. It was worth it in the end though. Plenty of food for thought. I am also a yoga teacher and I found many quotes to read to my students before relaxation. Ethics for the New Millennium was a nice change from the repetitive massage ethics courses. It is a very great reading.The Dalai lama is so insightful and it all applies well to what i live for. On rereading the answers that I missed i learned the deeper meaning of the statements offered in the book. For me, this was a great way to fulfill the ethics requirements for massage. The book was wonderful. I will read it again and share it with friends and clients. I am thrilled that it was offered as an Ethics course. Bravo! I really enjoyed the book! This would be a great read for everyone! Thank you for offering this course! More often, I would like to see books like the Dalai Lama's as the source of courses. This course touches every part of my life in a very positive way, especially when facing extreme difficulties. The course material--easily remembered-- helps me to keep matters simple, which has already enhanced interactions with others. One client appreciated a light remark I made after reading the book: "Much better than a bottle of 'nerve' pills!" The Dalai Lama's thoughts on ethics opened new worlds of understanding for me, about self, contentment, happiness, being in community, dealing with suffering. Anyone who'd ever wondered what we can do as healers and people who care for others, should take this course! This course makes you think of what kind of person you are and how you really treat others. Sometimes it was hard to follow but when it sinks in it makes you think. I recognize my personal attention deficit due to side affects of prescription change for heart/cholesterol issues. I'm certain other readers would find the material fascinating. My eye-opener is the realization there are other people who do not come by compassion and ethical behavior by nature...no wonder an Ethics course is necessary for all members of our profession. Many thanks for encouraging all to 'walk gently upon the planet'. Loved the book! Should be required reading for everyone in every discipline! What a wise and wonderful human. And how intelligent of your educational site to include this title. Bravo! I was ecstatic to find an Ethics course based on a book by the Dalai Lama!!! This is the first book by the Dalai Lama that I have read. It was a transformative experience. I especially appreciated that he specifically wrote this book to be applicable to be people of all backgrounds and religious/spiritual affiliations. I felt this ethics course was more applicable than any other ethics course I have taken. I believe every massage therapist should take this course. The Dalai Lama's teaching were inspiring, uplifting, and thought provoking. I will take them to heart. Really enjoyed this course and I signed up for it at the perfect time in my career/personal life. I plan to use the practice learned as much as possible. I have enjoyed this experience immensely. This was my first class with you and I found it very interesting and practical. I read the entire book which is a first for "ethics". Thank you; and now I am much more comfortable about taking online classes and tests. You make it easy and informative. Excellent material and useful in ALL of life not just work! An excellent book for anyone to change negative thinking and acquire inner peace. Valuable information for the therapist to develop compassion in his or her practice. Ethics For The New Millennium was an inspirational read. As a Massage Therapist it makes you think about how being compassionate is so important to our profession. I loved this information...not only will I use it in my practice...I will use it in my life!!! Some online courses ask that a person read material and then proceed to mark questions that require no further thinking. This course created an interaction process that asked me to think about the questions and then develop an answer from the entire chapter of knowledge, not just a few lines. I not only enjoyed the material but also enjoyed my interaction with the test questions. I feel like I gained a great deal from the experience. I enjoyed this Book very much. Always helpful to refresh and reboot the mind with positive insight. Ethics for the New Millennium is an excellent book. I enjoyed every minute of it and it has given me much to aspire to. I enjoyed very much the interaction and helpfulness of the staff. Had it not been for their kindness and understanding of my situation, I don't know what I would've done! Thank You! The course was much more than I expected, I would recommend it highly to anyone who truly wants to advance the humanity of man. I feel this shroud be a required subject for all healing practices. Ethics for the New Millennium by The Dalai Lama was very thought provoking and valuable. The material is very comprehensive. I needed to read it slowly to absorb the content to its fullest. I really enjoyed this book and materials - very relevant and timely. Thank you! The Dalai Lama is a gift to the Universe. May we all embrace the words contained on each page by becoming ambassadors of compassion. The book was awesome! I am glad it is a part of continuing education because it applies to life in general. This book was one of the best reads I've had in a while. It was the first I've read of the Dalai Lama's writings and it has left me with an interest in reading more of his work. What a wonderful way to get my ethics credits. The most excellent and useful course in ethics I ever took, which had a completely holistic message that grabbed and kept my attention.I loved this course. It assisted my inner process with those in my personal life, greatly. OMG!!! This course was absolutely fabulous! I've told EVERYONE about the course & have even let my daughter & a few friends, borrow not only the book, but course booklet as well! Now, to only start living this will be the true testament! Thank you! I was immensely pleased to find this as an option for the Ethics requirement!! Much needed. I deeply wish that Ethics for the New Millennium was required reading in high schools and colleges. Thank you so very much for offering this. I do, however, feel your course information based on the book could have been presented with more clarity and conveyed much more of the teachings in the book. Also, most of the questions were well done, but a few were not clear and would have been better to include a bit more. Overall, I am very delighted. Thank you again. Thank you for this course in ethics - I truly achieved a greater understanding and working knowledge of compassion, forgiveness, and ethics within myself. I have already been practicing the Dalai Lama's suggestions in my own life. This was my favorite ethics class so far. Informative, interesting and presented new ways to think about & make decisions easier in life/work/society. Interesting ethics information coming from The Dalai Lama. His own experiences made learning more interesting and personal. I enjoyed reading this book. It was helpful to me just for my own personal growth regardless of the fact that I need continuing education. I'm glad I had the opportunity to read it. It was such a delight to take this course, the Dalai Lama offers us concrete ways to live our lives in a maximally successful way to ourselves, to others and to the planet. This is VERY important information to be sharing with the world. THANKS!! I really enjoyed this material. It is just what I need for my practice and personal life. Thank you, Dalai Lama! This is much better than traveling many miles to hear nearly the same information on massage/body work ethics. I am signingup for another subject very soon. I thoroughly enjoyed this course. It is something that we can all learn more about (ethics and compassion). Whether we do bodywork or not! I like reading these kinds of books for class. I would read another book for a test like this! Very thought provoking and I like that I can pull from the content for my personal life, as well as my professional life. Good course! Should be required for every high school student! Ethics: From the Dalai Lama was the best ethics class I have taken. Standard ethics does not compare with the depth of study that this course offers. This course has depth and explores the topic on a broader level. Glad that this course was beyond the standard type of Ethics classes. It was much more than a review of Ethics and practices. The Dalai Lama has a deep understanding of human behavior and it was worth the effort and time to dive into. This is one of my favorite courses, and is my go-to course for the ethics requirements. The further we get into the 21st century, the more valuable this information becomes. Thank you for offering Ethics for the New Millenium! I loved this book and course. I hope to find more like this to read and take. Thank you for offering this. I really enjoyed this ethics course on compassion. Who better to learn from then the Dalai Lama. If only our world was ran in such a way. We all have a universal responsibility to each other. This course was informative, easy, and a reminder to treat every one with the respect we all deserve. Thank you for providing a unique educational opportunity for our ethics requirement! It was exactly what I was looking for! I am excited to learn ethics from a different perspective, rather than the usual same old, same old year after year! I was inspired by this courses and appreciated an ethics course that was not just about “ Do this, Don’t do that”. It encouraged me to look deep within and become more consciously aware of how our thoughts, feeling, and actions affect out fellow human beings and ethically what our responsibilities are to others (including the earth and other life forms). This is my second time using materiel from IIHS. It was just as interesting as it was the first time. They make it so easy & the courses offered are of an excellent quality, really capture my interest, & are enjoyable to complete. Being in bodywork for almost 20 years there is really nothing new in ethics for us. I really enjoyed the New Millennium by the Dali Lama. Cannot repeat or I would! However, your course made ethics as painless as possible! And that is a compliment. Thank You! I really enjoyed this course. Having a perspective of ethics given by the Dalai Lama was much more interesting than any other ethics course I have taken in the past. I found it to be very relate able to my own thoughts on ethics. This course should be a fundamental requirement for all practicing therapists. The Dalai Lama's teachings of compassion are incomparable to any current living personality in the world. Amazing. Highly recommended material. 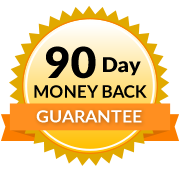 I have taken several courses through your website and have always been very satisfied. I especially enjoyed this one not only because the book itself was so lovely to read and expressed such beautiful views, but also that the test was so thorough. So many of these exams have such simple questions and answers you can basically just copy without having to actually learn; I was happy to have to have read the book first and pay attention and think about the content of the book to complete the course. Thank you for offering this class as a valuable learning tool for anybody to incorporate into their lives. The course was complex and interesting at the same time. Buddhism of course is a philosophy that is not as easily understood as religions would be. It was an immense challenge to answer those questions correctly. However, I do believe I will return to this book as a guide for instruction in happiness and inner peace, however difficult. I commend the Institute in offering something different as a study. It was inspirational! Thank you. Its hard to find interesting Ethics classes that give hope instead of dictates! Ethics: From the Dalai Lama was a great course and really good information to better oneself and put into action in one's own life. I loved this book!!! It took me a little longer to read being that I am a slow reader and like to go back and re-read parts. I loved the information and recommended this book to my mother to read. I thoroughly enjoyed this course and I have gained so much truly valuable information that I will practice in my life and in therapy! This is by far the best ethics class that I have ever taken! I have gained a deep appreciation for the Dalai Lama and I look forward to reading more of his work. Kudos to you for developing such an interesting course. Most of us have had our fill of ethics classes over the course of our career. This is a must! I just loved taking an ethics CE by learning from the Dalai Lama, reading the book and answering the questions while riding the train to work gave me such inner peace and outer compassion! Profound insights into ethics. Thank you for the in depth questions. Applicable in every part of my life and in all of the internal studies I have undertaken. I found this course on ethics the most valuable and interesting as a massage therapist as well as for life. I would highly recommend this book to everyone and think it would benefit the whole world. This was the best ethics course to date in my 16 years of practice. It will not only help to improve the quality of my work, I will be a better person as a result of reading the book and completing this course. Thank you for offering this ethics course! How wonderful to fulfill my Ethics requirement by reading something I'm actually inspired by! The lessons in this book will go beyond my practice. Thank you for offering such a fantastic course! I've always appreciated the Dalai lamas work, but this book has been a gateway to new insights to include compassion is every area of my life private, business, intimate. Grateful to work on CEU at the same time as evolving my spirit. I loved this book, and the questions on the test were insightful and dived deep into the content. This course text should be required reading for EVERY human being! If only a small percentage was absorbed by the reader, the world would be a better place! I wasn't sure what to expect with this course. As I went through the book, I was pleasantly surprised at how the material related to what I do as a massage therapist and as a human being. It put words to things I already knew and it brought to light things I knew but from a different angle. Whether a massage therapist or someone in another field, this is a program to take. This course was really a refreshing look at ethics. I was looking for something different than the usual ethics classes and I was very excited to find this one. The material was very through provoking and I had to read it slowly and go back and re-read at times for the depth of information to be absorbed. The course took longer than I expected, but it was with it as it was so profound. Thank you for offering this great work from the Dalai Lama. Thank-You so much for providing this course as a means of fulfilling my NCBTMB ethics requirement. The concepts of kun long, so pa and nying je will deeply benefit my professional and personal life. I am very grateful to the Institute for allowing such a beautifully written work by His Holiness the Dalai Lama to be part of their already great course selection! I read the book while undergoing chemotherapy for stage IV cancer. I found the content & subject matter very calming and interesting enough to help me through the experience and maintain a positive attitude. I have taken several ethics classes, most of which were fairly superficial and designed to check a requirement off the list and clock up credits. This course had real meaning and value and was worthwhile regardless of CEUs. Interesting and very useful course. I would recommend it to everyone at all in our modern world! Thank you! Definitely not your run of the mill Ethics course. Excellent course. I learned a lot and enjoyed the journey. Thank you for including inspiring books by wonderful people like the Dalai Lama! This book/course was wonderful. It opened my eyes and expanded my view of how to approach others, the world and all of the stresses around us. I will be exploring more of The Dalai Lama's work. I selected this course because I thought it is a rare opportunity to study ethics from a book written by The Dalai Lama. His call for a spiritual revolution, we never needed it more. This is a practical handbook how to change our very own negative thought patterns which lead to our unhappiness. As the foundation for everybody whatever Religion, Faith or Spiritual Practice there needs to be the premise of a daily practice of feeling compassion for others for our well-being and to thrive! Love this!!! Great way to shift consciousness!! Us global, sentient beings sure do appreciate the connection to oneness in times of great seemingly chaotic ever changing times! I enjoyed reading a different "take" on ethics...one coming from a spiritual basis vs a legal one! It was really enjoyable reading/ very informative yet so different from others. Love his Frankness. Thank you! I loved the book. I plan to reread it in the near future as it is a lot to digest. Very easy read. As timely (or more) as when the book first came out. Thank you for offering this approach to ethics. It's a deeper one that we all should be contemplating. I really loved this course. The teachings are profound, and I am surprised at how I am so readily opening up - both personally, and in my practice though I hesitate saying this because I see .. . only so much. However, in my enthusiasm and gratitude for these teachings I am saying this so that hopefully more courses with such depth, reflection and a spiritual nature are offered - for I think there are many like myself, who feel a genuine absence of this in our field . This course was amazing, the best and the most difficult course I have ever taken for continuing education. Thank You. Best course I've taken from you. Best ethics course I've every taken! Well worth the time. More than exceeded my expectations. I highly recommend; every human being should read this book. It would change people and change the world. The best Ethics class experience Iâ€™ve ever had. It informs my personal life to the same degree that it affects my work environment. WOW!! I read the book once then went back through again finding repeated points. The test was still very hard. It is such a dense book it took a tremendous amount of time finding the correct answer. A lot of the questions are based on answers that have been repeated a lot throughout the book however it is very hard to hone in on the exact wording they are looking for. I am overall Glad I red this book. It brought me back to a singularity of focus on compassion. I see how working to have that can really change my decisions and they way I look at a situation and how to handle it. Identify the key elements involved in our capacity to empathize with one another. Recognize at least five essential elements in the practice of inner discipline. Describe the levels of compassion and the properties of each level. Identify the essential elements involved in our experience of suffering, resolution and the application of ethical discipline. Describe at least three key effects of our development of a sense of universal responsibility. Recognize the steps necessary to achieve ethical conduct in social and political policies.